The Northern Lights, a meteorological event most common to areas north of the Arctic Circle, may be visible over parts of America this weekend, Newsweek reports. Due to a solar storm, the light show may appear Saturday night over states in the northern part of the contiguous U.S., including New York, Michigan, Illinois, and Washington state. 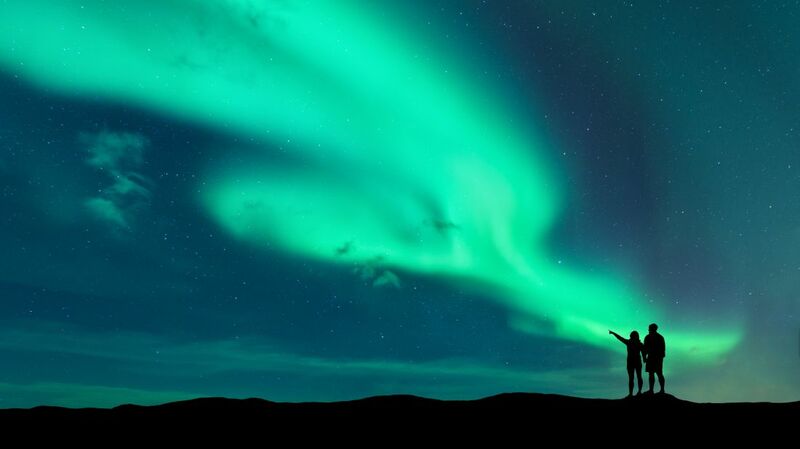 Aurora borealis, or the Northern Lights, occur when solar particles react to gases in Earth's atmosphere. Magnetic energy exaggerates this effect, which is why auroras most often appear at the geomagnetic poles where Earth's magnetic field is strongest. Rare circumstances can produce this phenomenon at lower latitudes, which may be the case this weekend. On Wednesday, March 20, a solar flare sent a blast of solar particles toward Earth. The resulting geomagnetic storm could make for a vibrant and colorful aurora reaching as far south as New York and Wisconsin. To catch the spectacle, look up at the night sky on Saturday, March 23. People in areas with minimal light pollution have the best chance of seeing the Northern Lights, though cloudy weather may make them hard to see.